Social Search seems to be taking off and the all conquering Google algorithm may soon have a genuine challenger! Previous discussion has been centred around the development of people-powered Search engines like Wikia or Semantic Search engines like Hakia / Powerset (recently acquired by Microsoft) and the question of whether these could ever challenge Google dominance (answer 'no'). However, user powered, social search derived from sites like Twitter, Friendfeed or Digg could have more impact and the Search landscape is starting to evolve. If Search is defined as the starting point for an internet journey, then the advancement of social media has the potential to challenge the current state of affairs. The threat to Google was originally seen as coming from Facebook and their all powerful social graph. Facebook though (distracted by Beacon, Open Social and redesigns?) have not succeeded in developing a social search engine and the challenge to Google seems to be coming from other sites in the social media sphere. 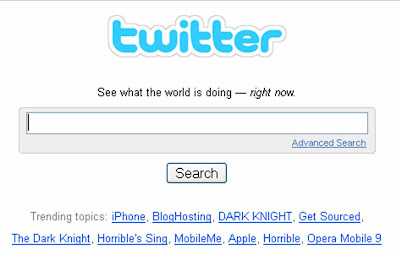 Twitter have bought Summize and have instantly integrated this into their site – http://www.summize.com now re-directs to http://search.twitter.com. The Twitter blog states: “there is an undeniable need to search, filter, and otherwise interact with the volumes of news and information being transmitted to Twitter every second” and the Summize integration offers an easy way to not just see what your friends are doing, but also to see what is happening “in the world beyond your personal timeline.” Whilst this is very helpful for internet trackers, this may have also given Twitter a business model. 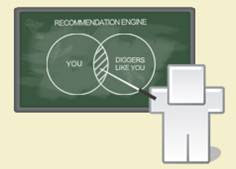 With sites like Digg, Twitter and FriendFeed developing their personal recommendation results, it is therefore no surprise that Google are also (quietly) experimenting in this area. 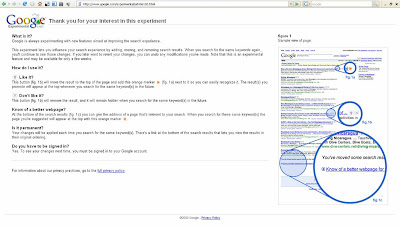 Google have selected some random test volunteers for their experiment with social search, (http://www.google.com/experimental/a840e102.html) and testers are able to influence their search experience by adding, moving and removing Search results. This is similar to Digg in feel (particularly with the ‘Like It’, ‘Don’t Like It’ buttons) and it will be interesting to see if Google launch this themselves rather than pursue the acquisition of Digg. With recent changes Search finally seems to be reaching out to incorporate social actions into results as well as just relying on the all powerful algorithmic approach. This opens up new opportunities for internet users to find what they want more quickly and creates contextually more relevant areas for paid search. The ability to track personal actions and opinions is a PR persons dream, however I guess there will be a few sleepless nights in the SEO sector as changes start to be seen? Me.dium recently released a social search engine of their own. It compiles past click streams and searches to produce the best results possible. The more people using it, by downloading one of their sidebars or toolbars, the better the results. Me.dium’s Social Search, which leverages the Yahoo! Search BOSS platform, provides an entirely new level of information on top of traditional search. Me.dium’s Social Search harnesses the activity of the crowds to let you find information that has relevance based on what people are actually surfing right now. 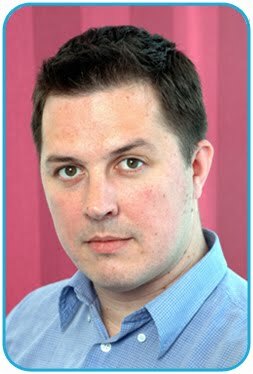 Me.dium’s technology lets the inherent activity of real people - not robotic crawlers - determine relevance. Me.dium’s Social Search results show what people are surfing and find interesting, right now. While other search engines base relevance on how content links across pages, Me.dium’s Social Search shows you the most popular news, reviews, pictures and videos that other people are actually looking at in relation to your search term. And as the activity of the people online changes, so do the search results. Thanks Chris, I'll have a look! Hey Nick, I just wanted to clarify that our search engine produces results based on where people are actually surfing at the current time. It has been confused all over the blogosphere and I wanted to make sure I wasn't being too ambiguous.